Awhile back, I wrote an article that asked the question of whether or not BMW M should make a bespoke sports car. Not a sports car that was based on any pre-existing BMW but something designed and built entirely by BMW’s Motorsport Division. The reason I asked this question is because of one very specific car — the Mercedes-Benz SLS AMG. A few years back, I drove an SLS AMG on track and, to this day, it’s still my favorite car, and my favorite engine, that I’ve ever driven. That’s right, a BMW fan’s favorite car to drive is a Mercedes-Benz. There was just something so special about the way it felt. The SLS AMG was never the fastest or sharpest or most dynamic supercar ever made, it wasn’t even any of those things when it first came out. But there was something so wonderful about it, from how sharp and tactile the steering was, to the instant thrust and throttle response from that masterpiece of an engine, to the greatest V8 noise I’ve ever heard. It blew my mind, as the SLS was nothing like any Mercedes product I’d ever driven before or since. And then it dawned on me, the SLS AMG isn’t actually a Mercedes-Benz. It’s an AMG. The SLS AMG was a bespoke sports car, designed and built entirely by AMG. And then, the brilliant psychopaths in Affalterbach did it again, with the recent Mercedes-AMG GT, another absolutely brilliant car, although not quite as special as the SLS AMG. And now we’re hearing that AMG might be doing it again, this time to take on the Porsche Cayman. So it the question remains — if AMG can do it twice and now possibly three times, why can’t BMW M? 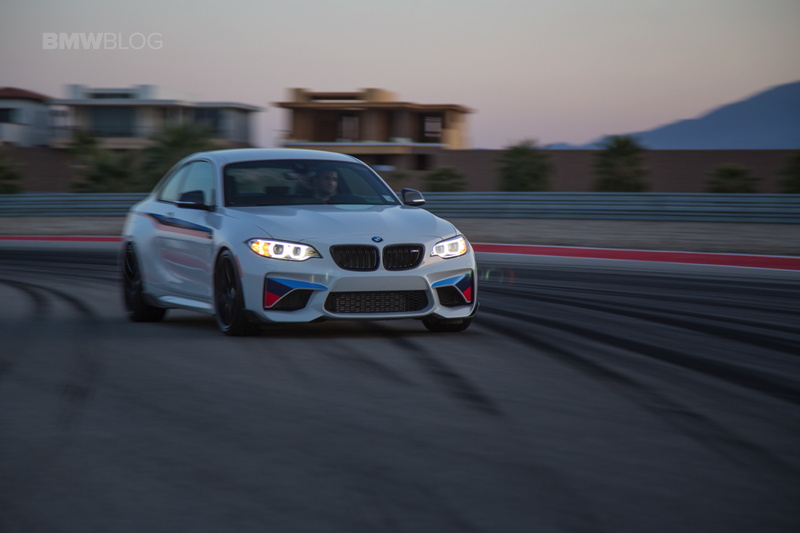 BMW’s M Division certainly has the know-how and the talent to do so. In fact, up until 2011, every single BMW M car had a bespoke engine. So the folks in Munich know how to do things on their own. But they just don’t seem to want to, or at least BMW brass won’t let them. Which is a shame because there’s certainly a unique space for a car like that, Porsche already occupies it with the Cayman and other automakers are trying to play catch up. It’s no surprise that AMG wants to take on the Porsche Cayman, as it’s almost impossible to beat with a standard car’s chassis. Every other sports car in its class, with the exception of the Alfa Romeo 4C, is built off of a pre-existing car with much more humble roots. The BMW M4, for example, is built off of the standard 4 Series, which is available with a 190 hp diesel engine, so it can get great fuel economy. 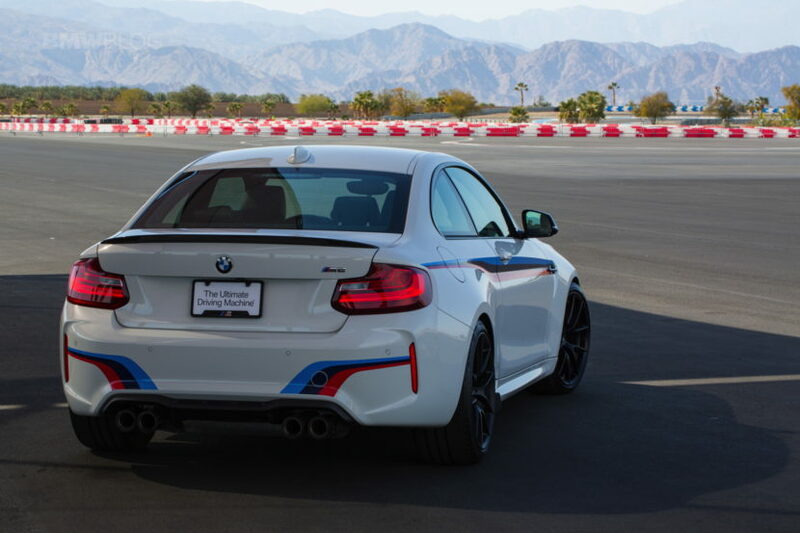 Same goes for the BMW M2. But the Cayman is built off of a bespoke chassis designed only to be a balanced, delicate and sublime sports car. Therefore, it is one. No wonder the BMW M2 or M4 can rarely, if ever, beat the Cayman at its own game. If BMW wants to truly take on the Cayman, or this potential AMG rival, it’s going to need something unique from its M Division. I don’t know if you’ve ever driven the new Cayman but it’s a significantly sharper car than the M4, or even the beloved M2. It’s immediately noticeable that the Cayman is a sports car from birth, not a normal commuter car pumped up with steroids. 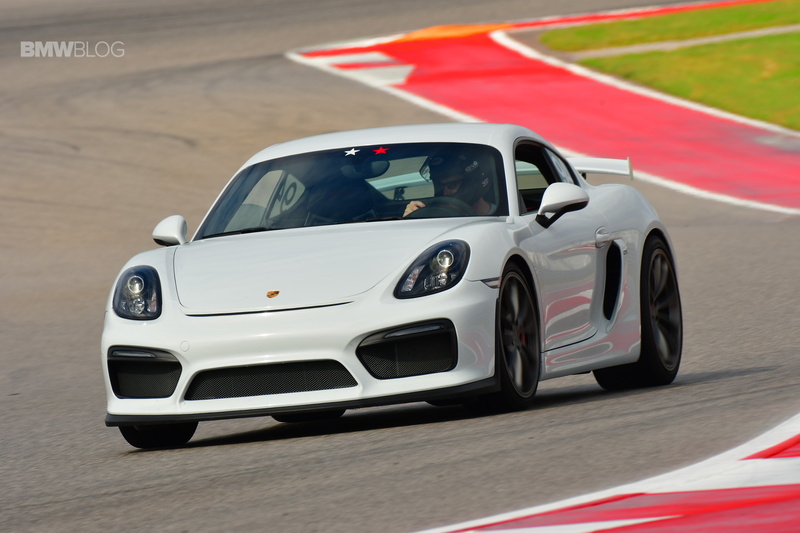 The BMW M4 is good but the Cayman is special. Now, one could argue that this is a small segment to play in and it costs too much money to develop cars like that. However, if anyone has the funds, it’s BMW, being one of the most profitable automakers in the world, year in and year out. The problem is that the Bavarians seem to be moving in a different direction entirely, aiming more at electrification and autonomy. Which is very important for the brand and understandable but it would be nice to see BMW dedicate some time and funds to a special sports car before the fun is over and we all have to switch to electric cars. Something small, lightweight, pure and entirely bespoke from BMW M would be absolutely incredible. It’s likely never to happen, though, and that’s disappointing. The sight of AMG possibly getting in on the action is just salt in the wound. If there’s ever a chance, though, it’s now. It’s no secret that the Germans love to copy each other and if AMG makes something like a bespoke Cayman competitor, it might be too tempting for BMW M to resist. We can only hope. So start pulling for an AMG-built Cayman competitor because it could mean a BMW M one as well.